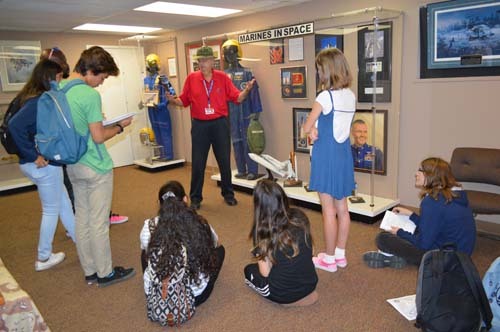 Every year the Flying Leatherneck Aviation Museum opens its doors to school groups and field trips with an array of programs designed to meet educator objectives. All programs at the Flying Leatherneck Aviation Museum are free of charge. To request a tour of the museum for your students please fill out the form below to request and schedule a tour. We look forward to welcoming you and your students to the museum! If you have any questions, please contact us at education@flyingleathernecks.org or call 858-693-1723. See a few of our educator and student reviews located below the form on this page.